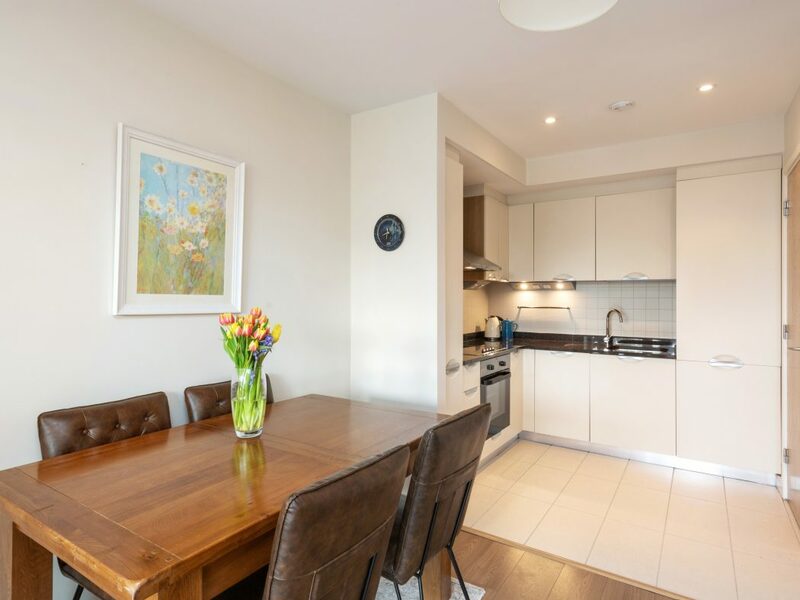 Stunning first floor two bedroom apartment which comes to the market in pristine condition. 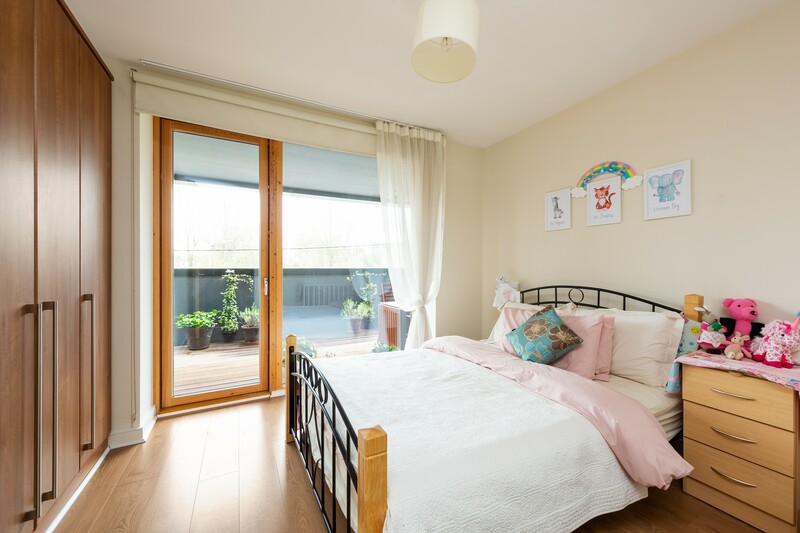 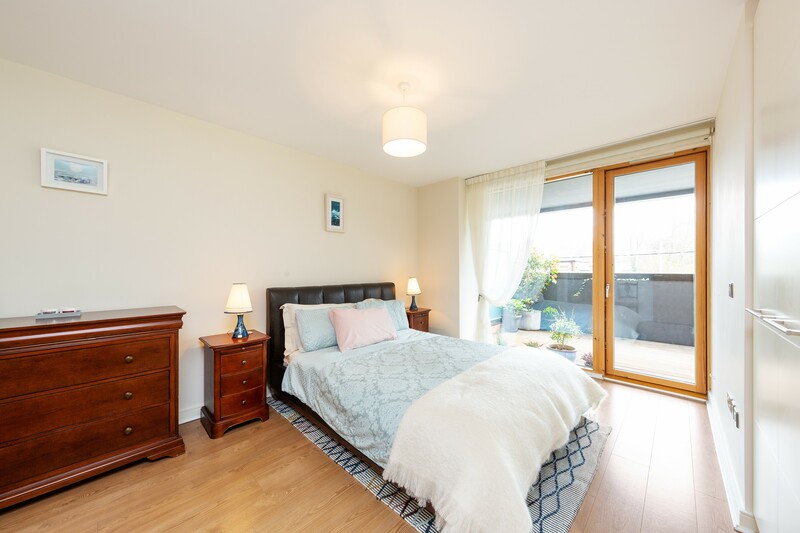 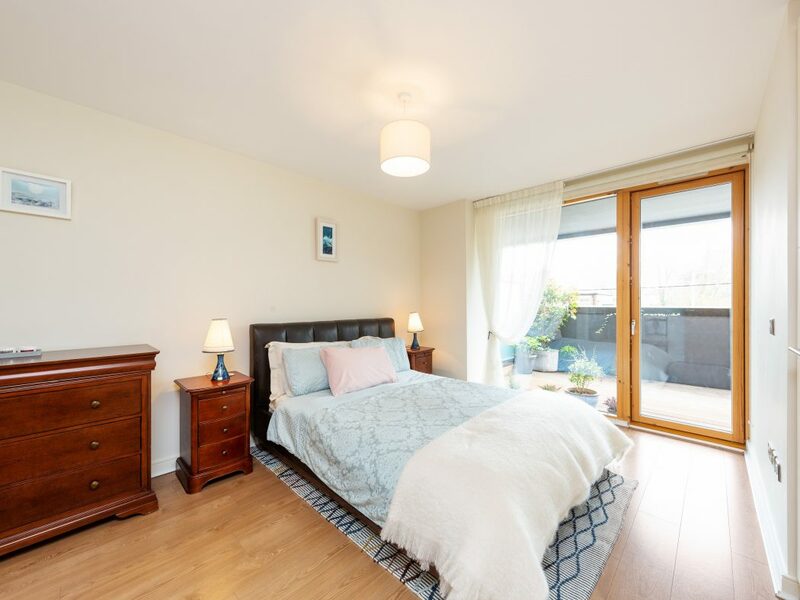 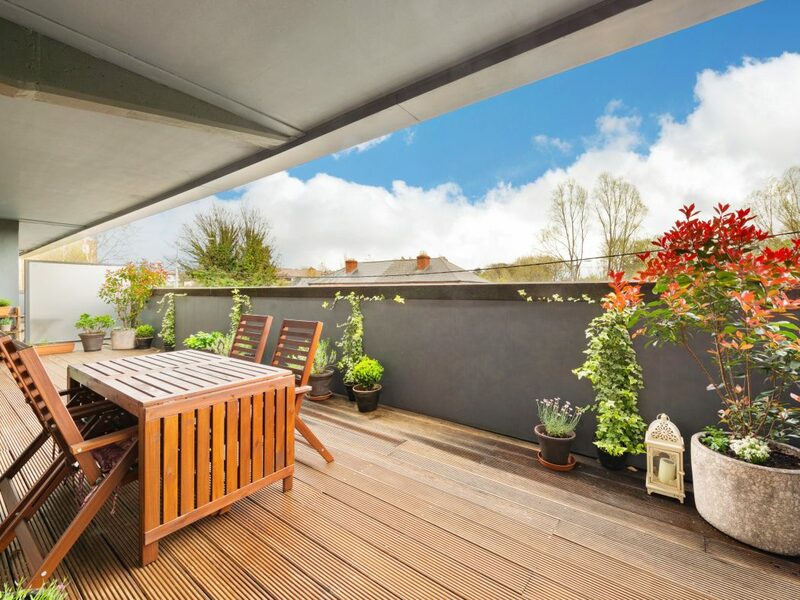 It is generously proportioned, light-filled, with superb views towards the tree-lined river Dodder and Dublin Mountains, and features a magnificent private garden terrace, accessible from the living area and both bedrooms. 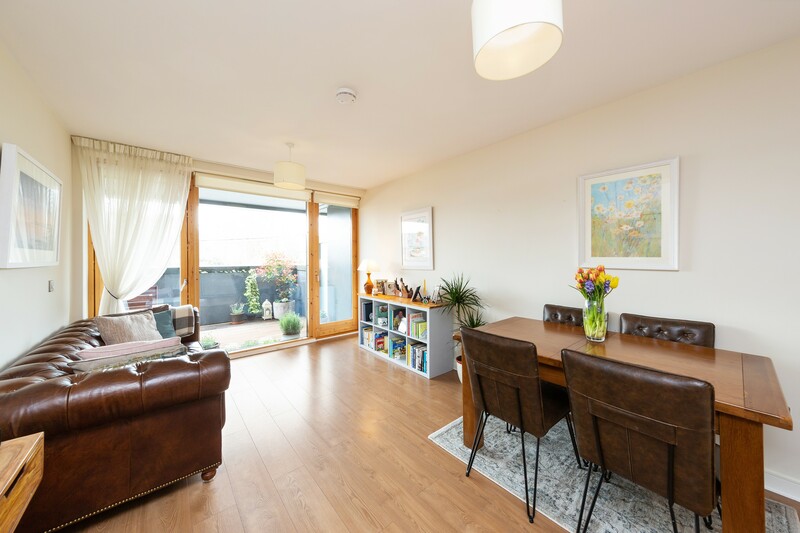 The property comprises of a contemporary fully fitted kitchen, a separate utility room/larder off the kitchen, bright open plan living and dining area, two large double bedrooms, master en-suite, main bathroom and a walk-in hot press containing floor to ceiling shelving. 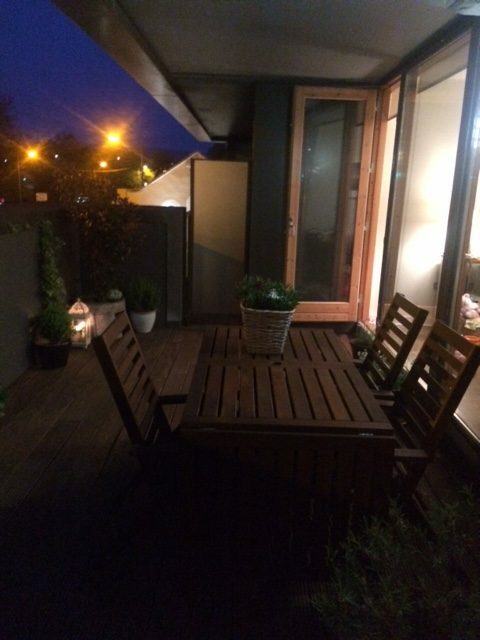 It also features under-floor heating, and a designated car park space. 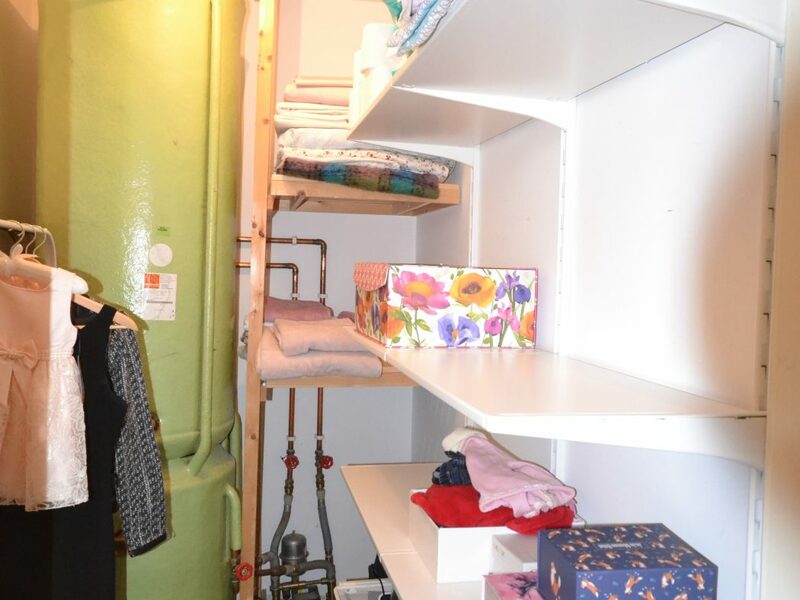 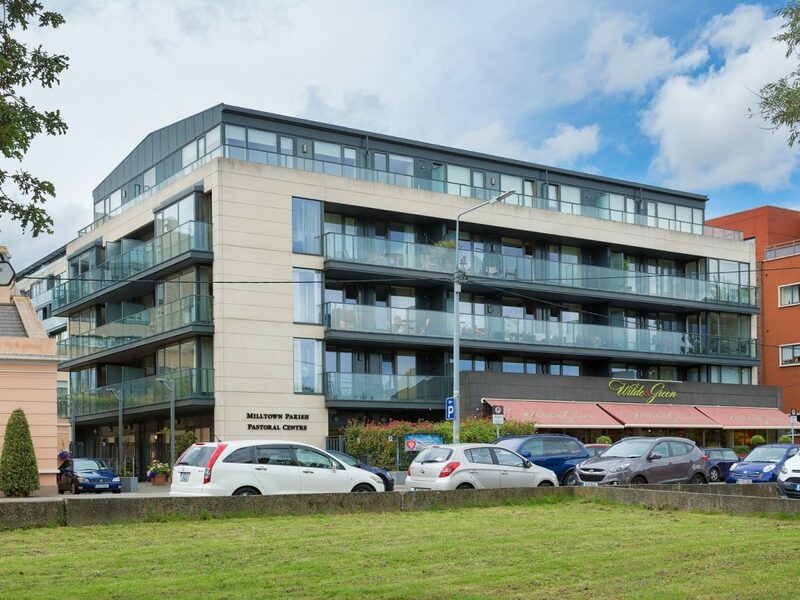 This is an unique opportunity to acquire a two bedroom apartment in one of Mount Saint Anne’s smaller apartment buildings, comprising of 24 apartments in total with only 6 apartments on each floor. 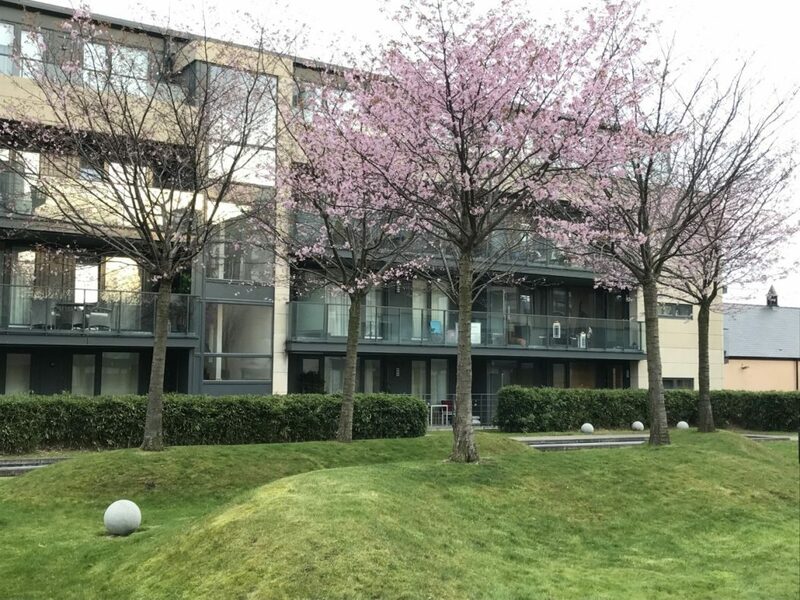 A manicured garden area with mature trees, lawn areas, and seating area provides a beautiful garden level entrance to the rear of the building. 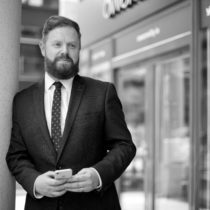 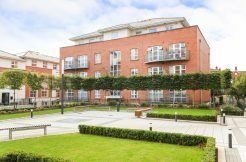 Mount Saint Anne’s is a highly sought after, upmarket residential development, where properties rarely come to the market. 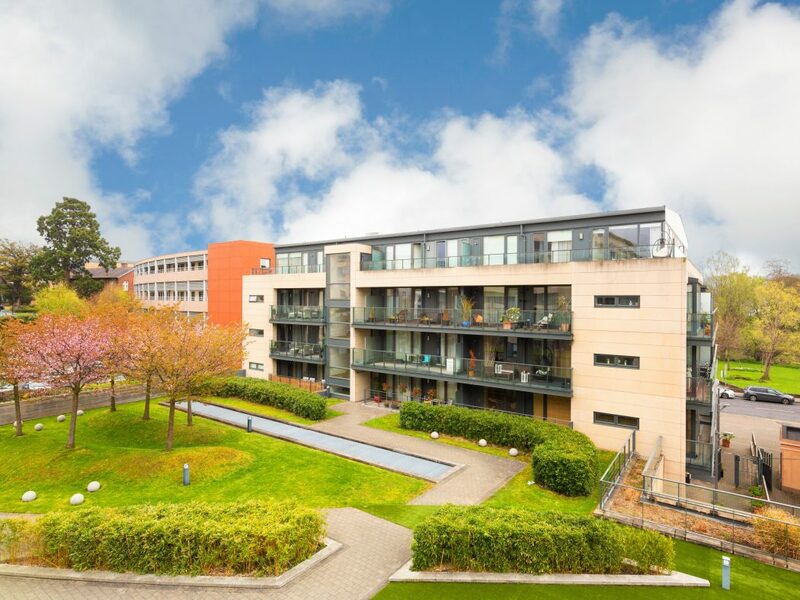 The property is within a few minutes walk of the Luas Milltown stop. 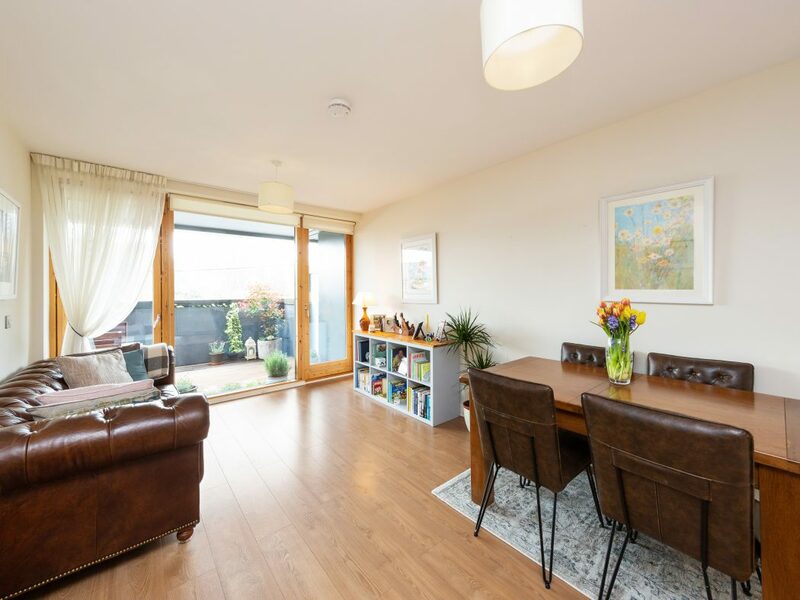 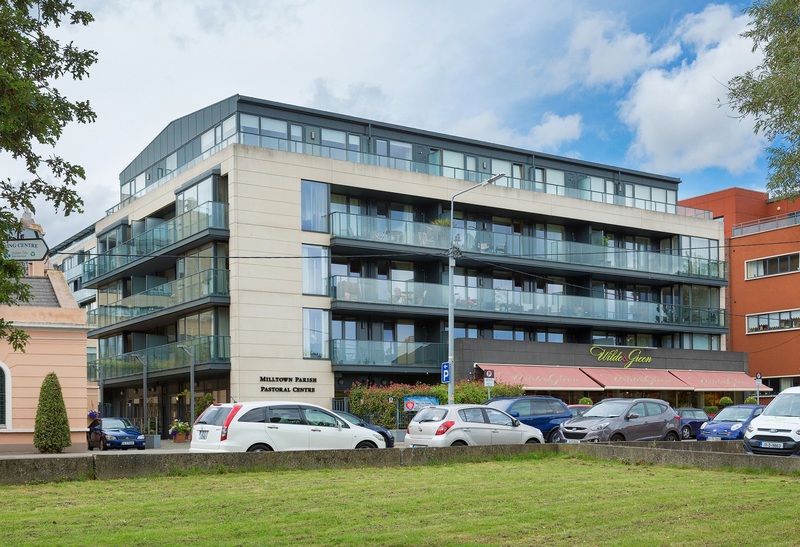 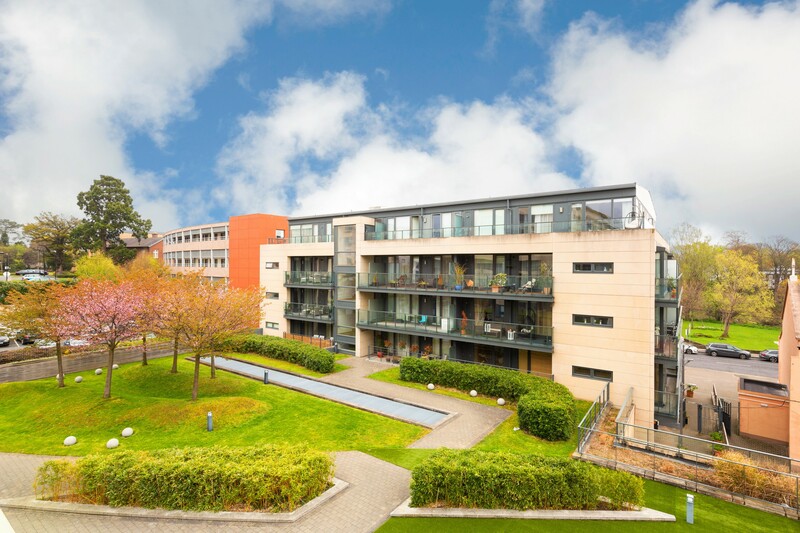 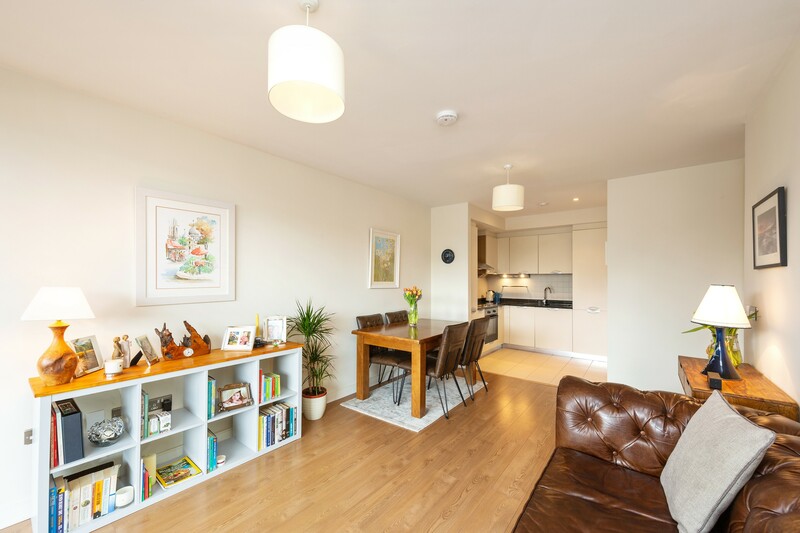 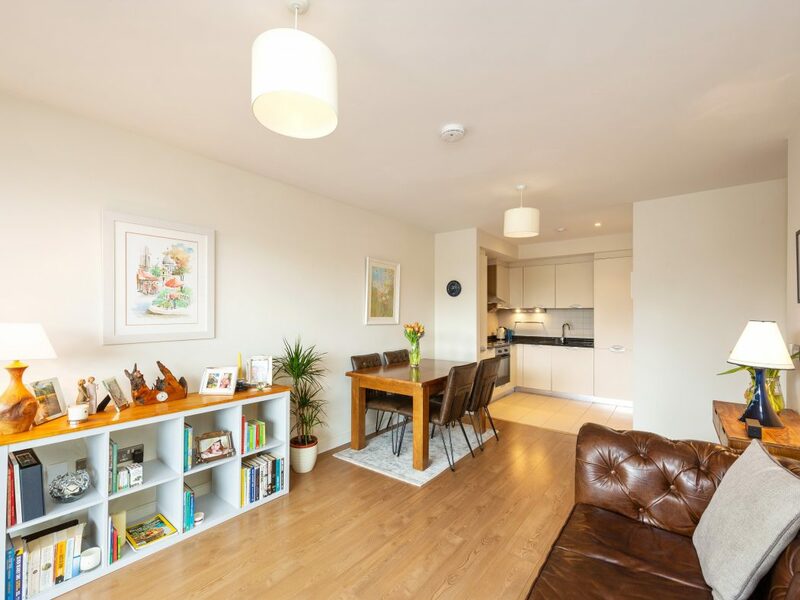 The nearby villages of Donnybrook, Ranelagh and Rathgar offer a host of amenities, while Milltown itself is served by several crèches and schools, and is only a short distance to UCD and Trinity. 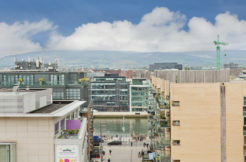 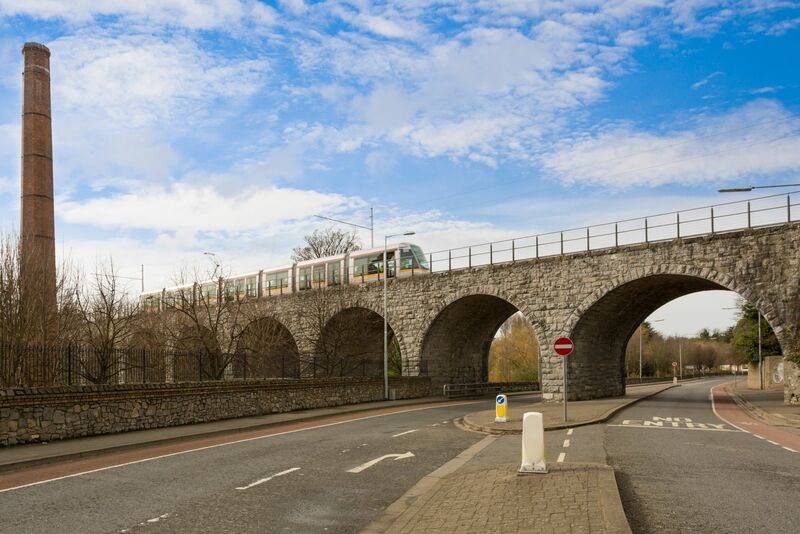 Access to Dundrum town centre and Dublin city centre takes only a matter of minutes via the Luas. 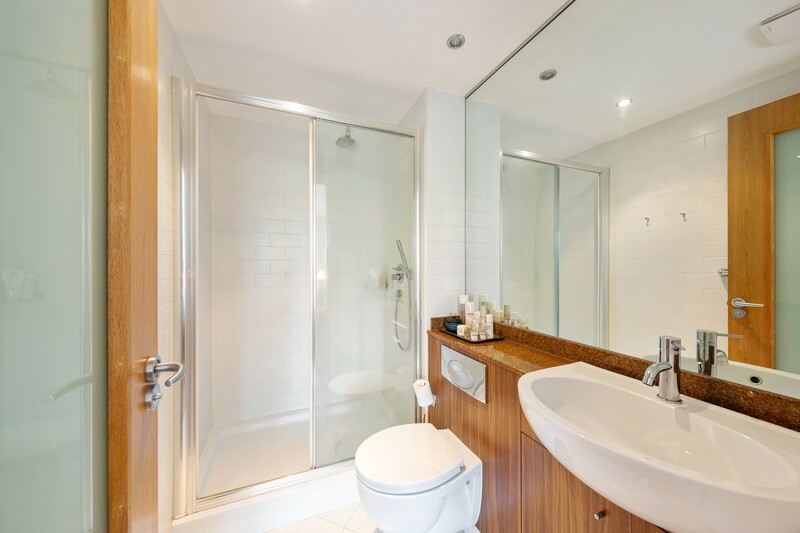 With video intercom, alarm control panel, recessed lights and hot press with shelving. 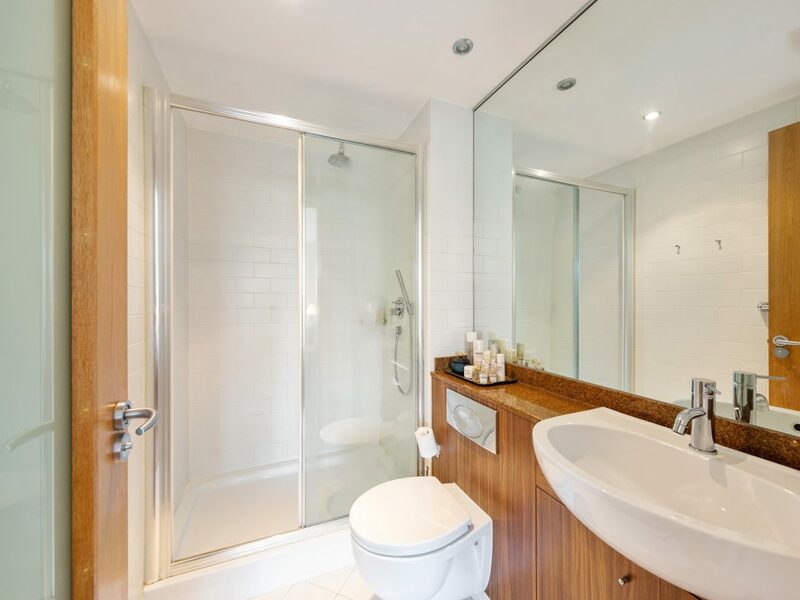 Fully tiled, bath, WC, WHB with cupboard, large fitted mirror. 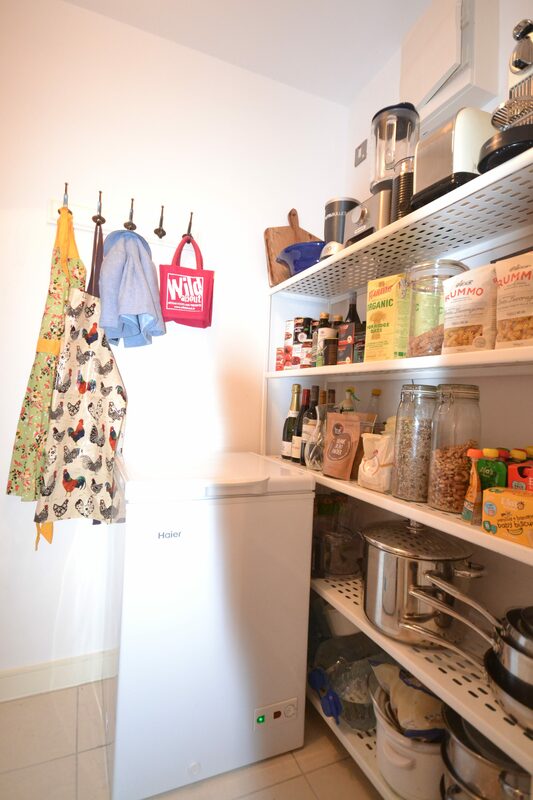 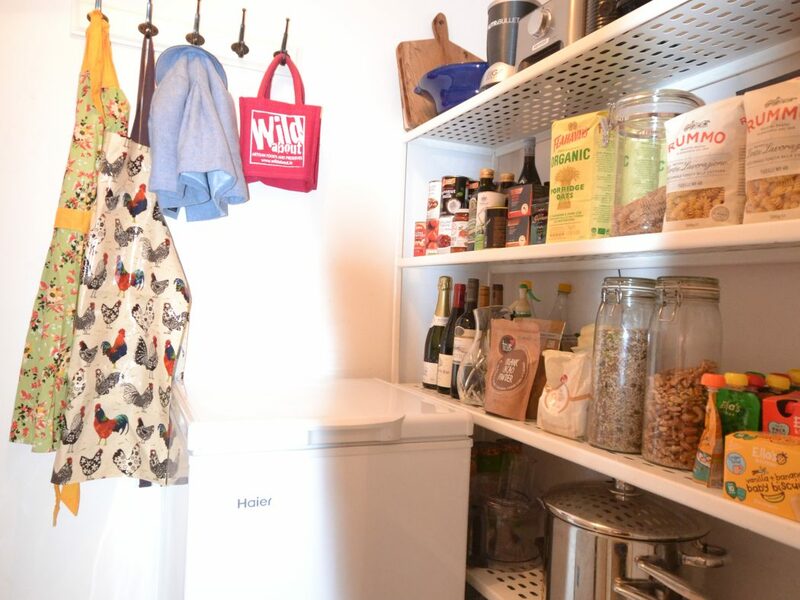 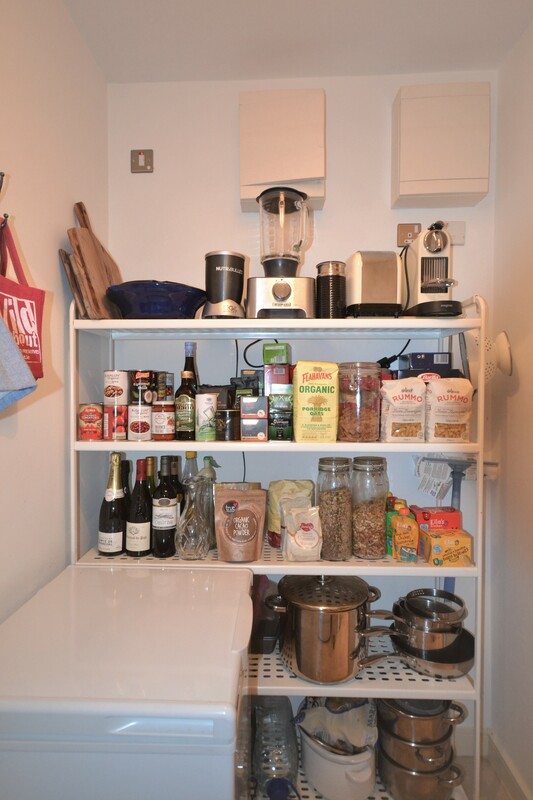 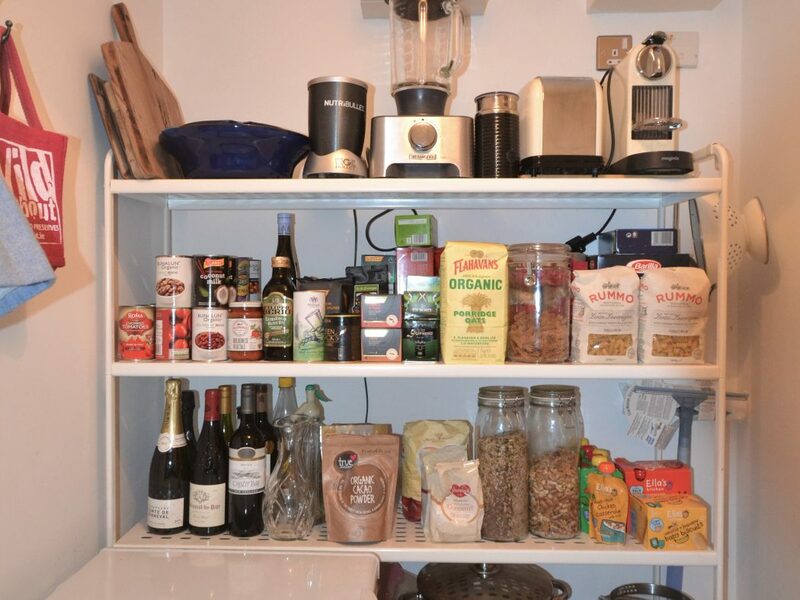 Large hot press with built in shelving. 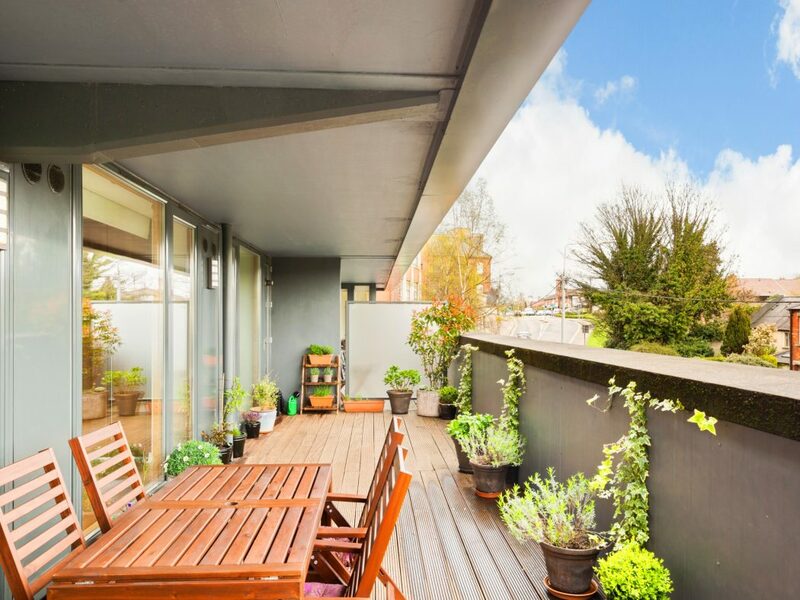 Impressive open plan space with timber flooring and access to a large beautiful terrace. 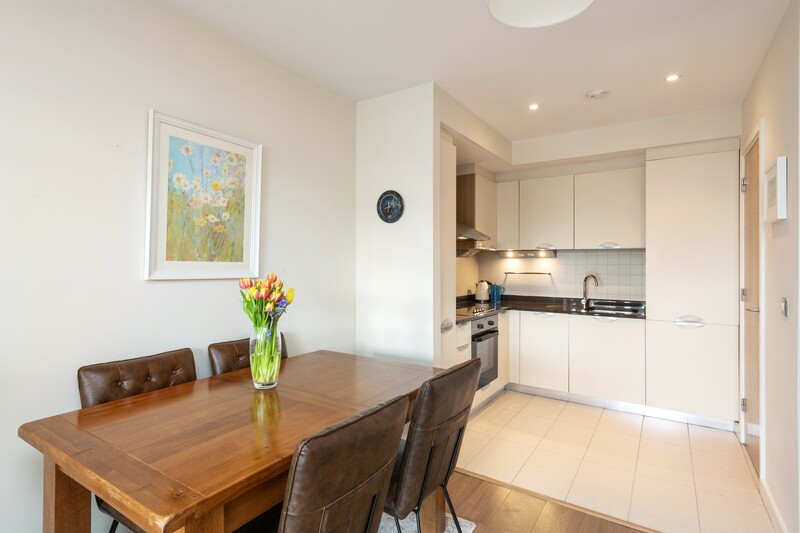 Fully fitted kitchen with integrated appliances to include hob, oven, extractor hood, dishwasher and fridge/freezer. 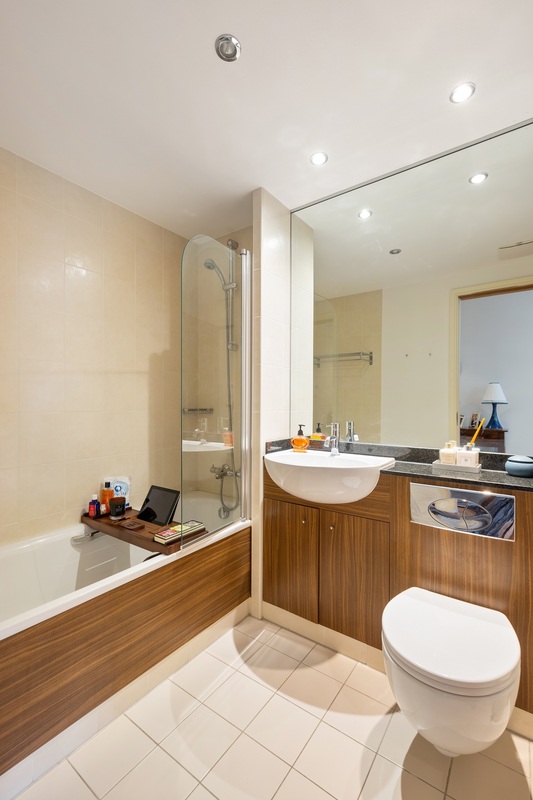 Tiled floor and recessed down lighting. 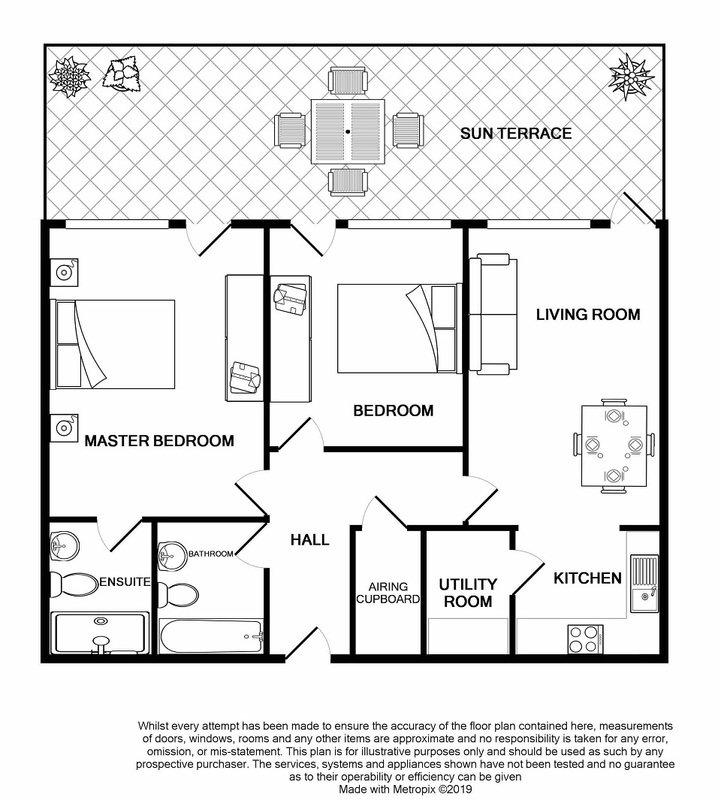 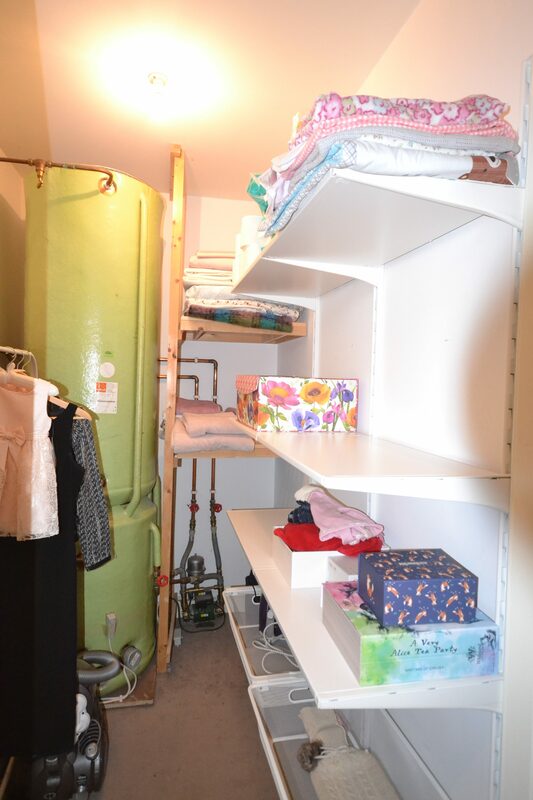 Large room with tiled floor, washer/dryer and shelving. 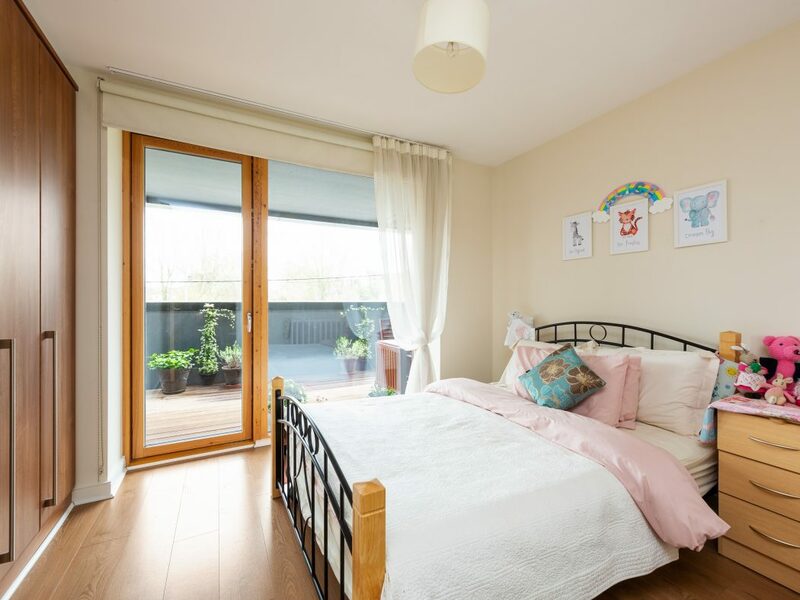 Generous bedroom with built-in wardrobes and access to the large terrace. 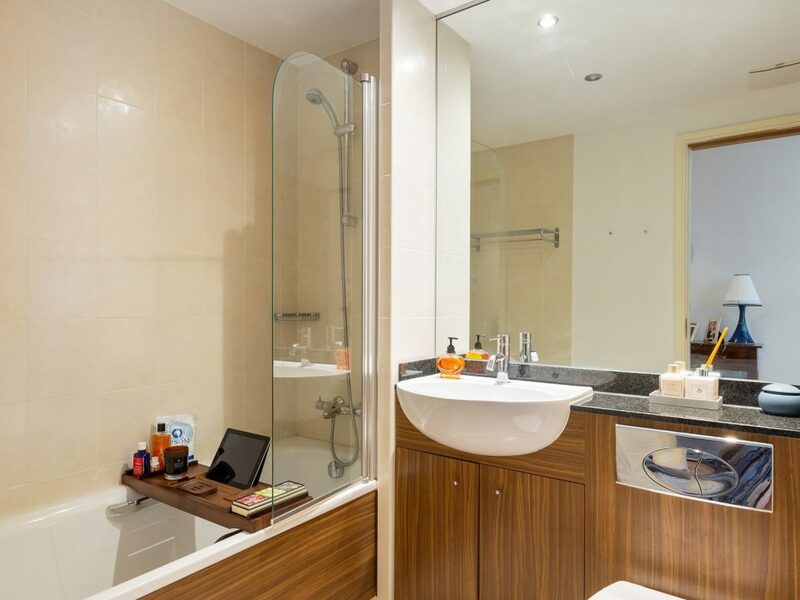 Fully tiled, shower unit, WC, WHB with cupboard, large fitted mirror. 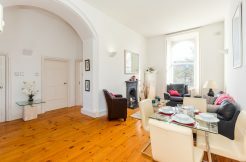 Double room with built in wardrobes and access to the terrace. 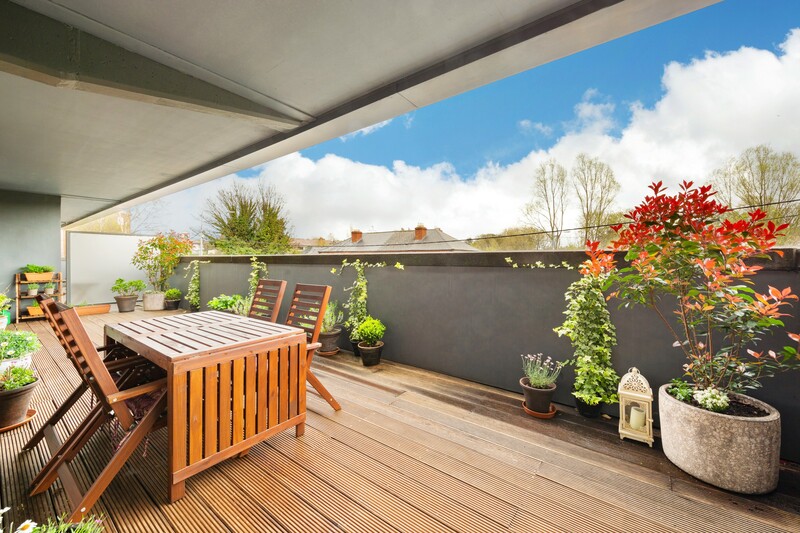 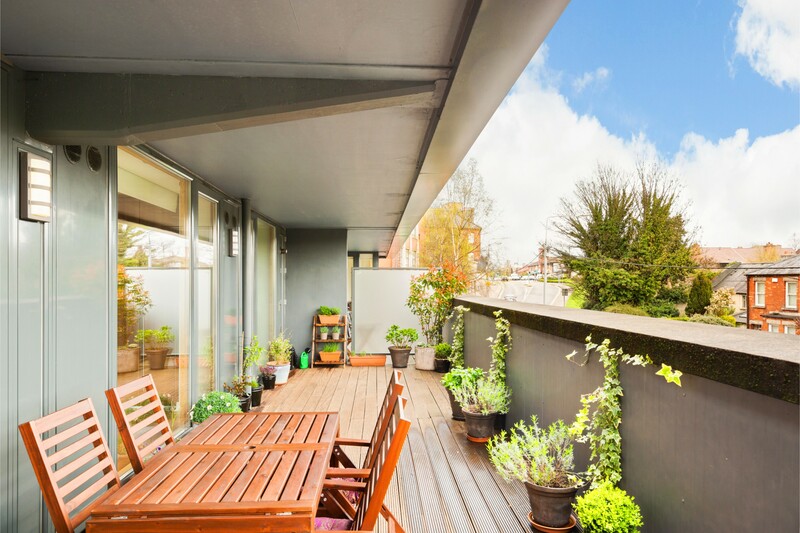 Extremely generous east facing terrace with views towards the River Dodder.